Fall is here! And you know what that means... It's time to get yourself to your nearest gallery districts to see some of the best art shows of the year. 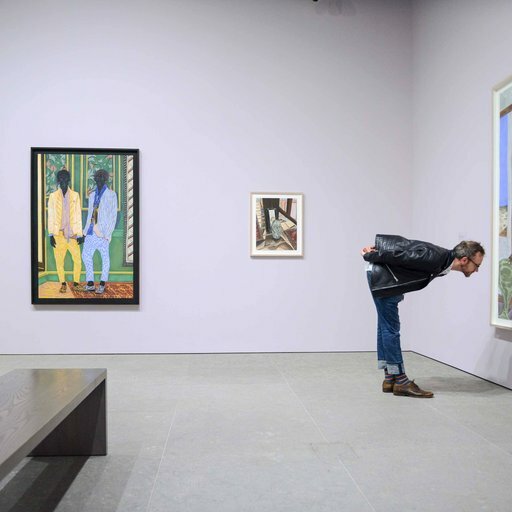 While there are too many great season-opening exhibitions to name here, what follows are the artists that our expert art advisor, Hannah Parker, has her eye on this month. Add the works from her collecting wishlist to your cart before she does! 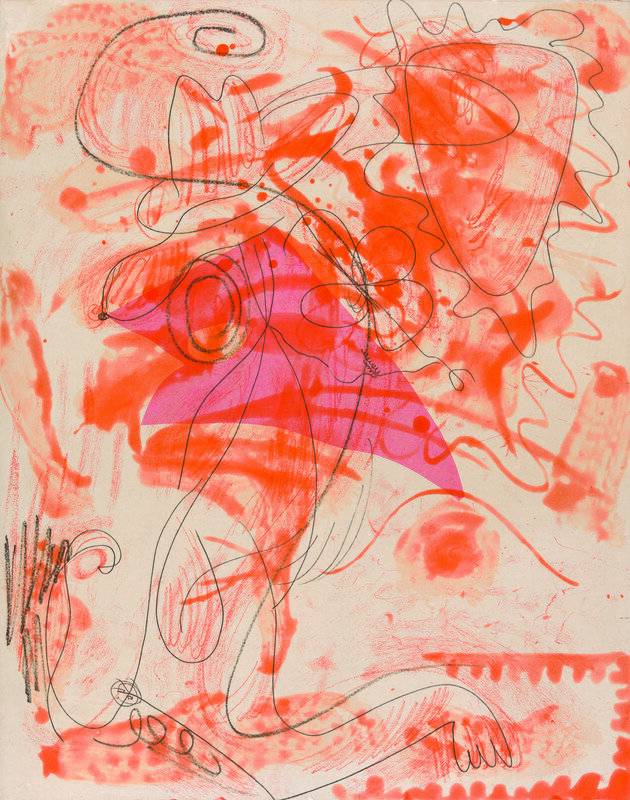 Over the past three decades, Charline von Heyl's layered compositions have challenged the traditional conventions of painting by fusing loose gestures, line drawing, geometric shapes, and both figurative and abstract forms. 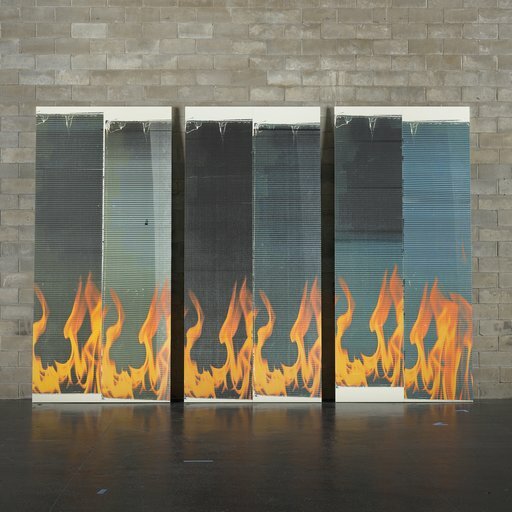 She just opened an exhibition of new paintings at the highly respected Petzel Gallery, which will be on view alongside her major solo survey show, Snake Eyes, at the Deichtorhallen in Hamburg, which will travel to the Museum Dhont-Dhaenens in Sint-Martens-Latem, Deurle, and the Hirshhorn Museum and Sculpture Garden in Washington D.C., later this fall. Von Heyl's paintings are coveted and for most, difficult to acquire, which is why L'etranger is the perfectly accessible piece for admirers to join the ranks of the Tate, Walker Art Center, and MoMA by becoming collectors of her work. Ask any member of the Artspace team, and they will tell you that I love Ruby Sky Stiler's work. Any time I receive one of her previews or see it at an art fair, I am giddy with excitement. 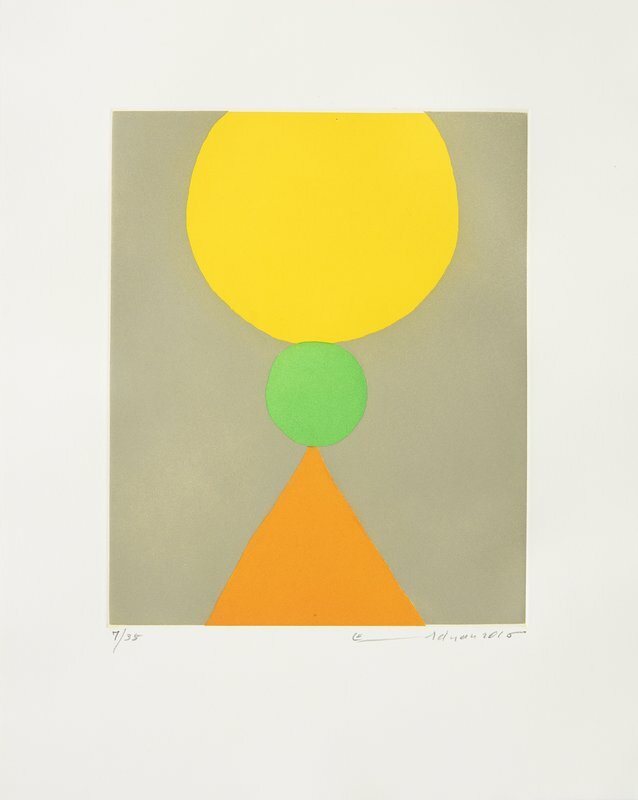 It's hard to pinpoint exactly what it is about her work that I love so much—perhaps it is the way it recalls ancient Egyptian, Greek, and Roman art and architecture, while still looking entirely fresh and contemporary. Or perhaps its the way her wall reliefs' and sculptures' materials mimic stone, but are composed of entirely different media. 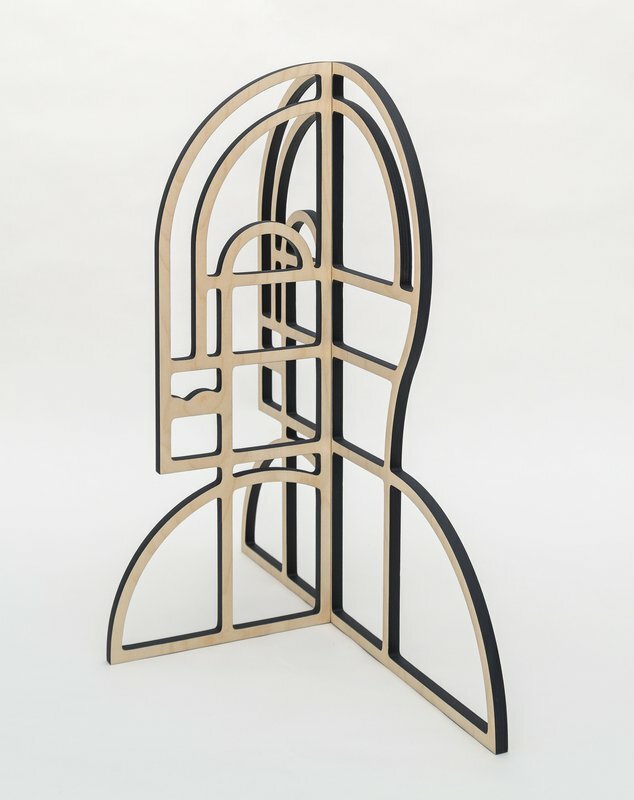 Male Head demonstrates what Stiler does so well, using an economy of means to delineate figures using minimal lines and just-barely three-dimensional forms. Her pallet is largely muted, though you'll see her introduce more color in her latest exhibition that opened at Nicelle Beauchene on the Lower East Side last week. An artist on the rise, Stiler received her BFA from Rhode Island School of Design and her MFA from Yale University (not bad, right?). The 2018 recipient of the Saint-Gaudens Fellowship, she's already had solo exhibitions at the Aldrich Contemporary Art Museum in Ridgefield, Connecticut; Locust Projects in Miami; and the Portland Institute for Contemporary Art. Pretty promising if you ask me. I fell in love with Sophie Calle's work when I stumbled upon one of her books during my internship at Paula Cooper Gallery. Calle defies categorization; she is a photographer, writer, performer, a true conceptual artist. 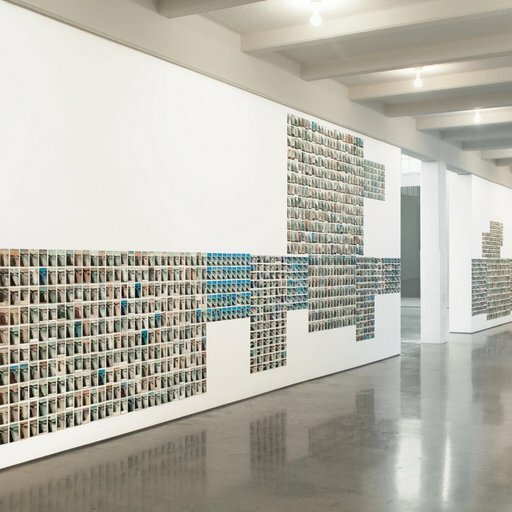 Her works are quite interactive; typically, the photographs and texts that hang in the gallery are remnants of the project itself. 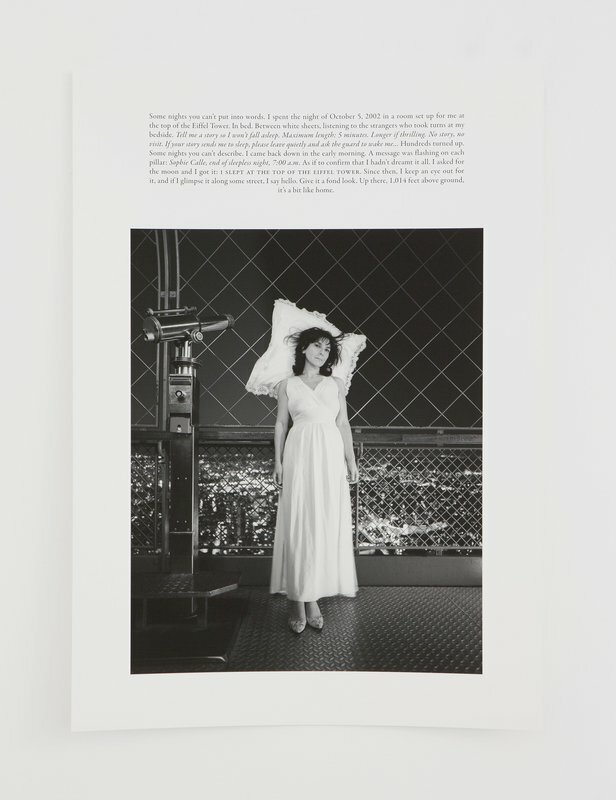 Such is true of Room with a view, the photo/text that tells the story of the night of October 2, 2002, in which the artist spent the night at the top of the Eiffel Tower, inviting strangers to tell her a story so she wouldn't fall asleep. The resulting photograph from this night is bizarrely beautiful, yes, but what is especially intriguing about this work is that only the visitors and she will know what stories were told, an intimate, equalizing moment between artist and participant. At only $450, Room with a View is not only gorgeous, it's a historical document. 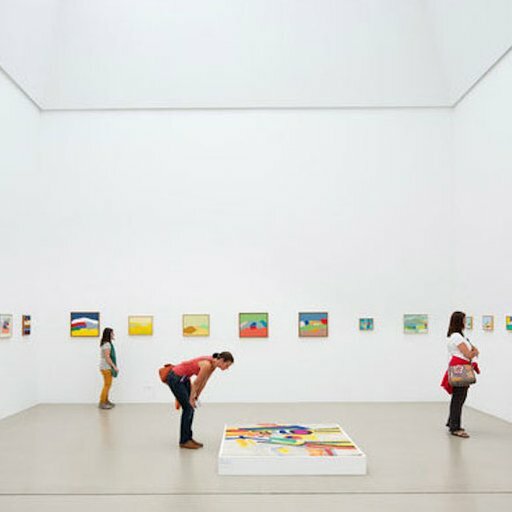 Calle has exhibited around the world in both major museums as well as unexpected sites. Her recent exhibition, called Dead End, was held at the vineyard and contemporary art center Château La Coste in Le Puy-Sainte-Réparade, France, and in October she will open an exhibition at Galerie Perrotin in Paris. 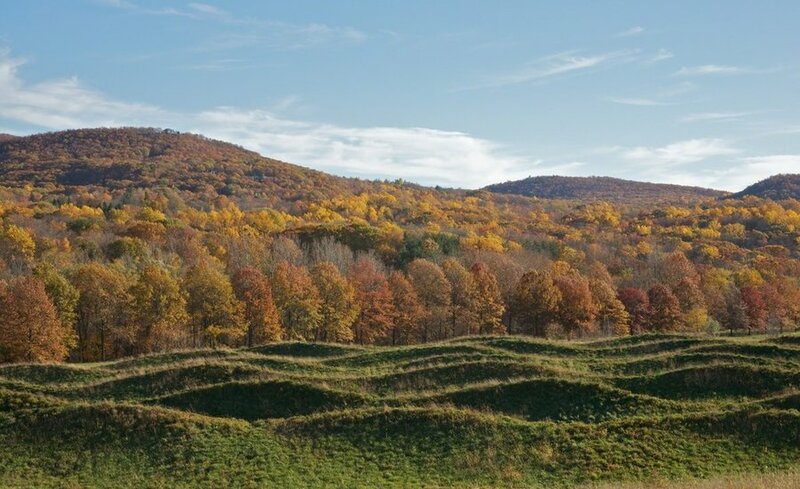 One of my favorite places to visit in the fall is Storm King Art Center and one of the mind-bending works to see from its permanent collection is Maya Lin's Wavefield, which spans four acres of the park. Lin has received widespread critical acclaim, as well as the Presidential Medal of Freedom in 2016. A recurring question asked throughout her work is, how can we reconsider nature? In this case, she brings the soft undulations of ocean waves to the grassy terrains set in front of Schunnemunk Mountain. 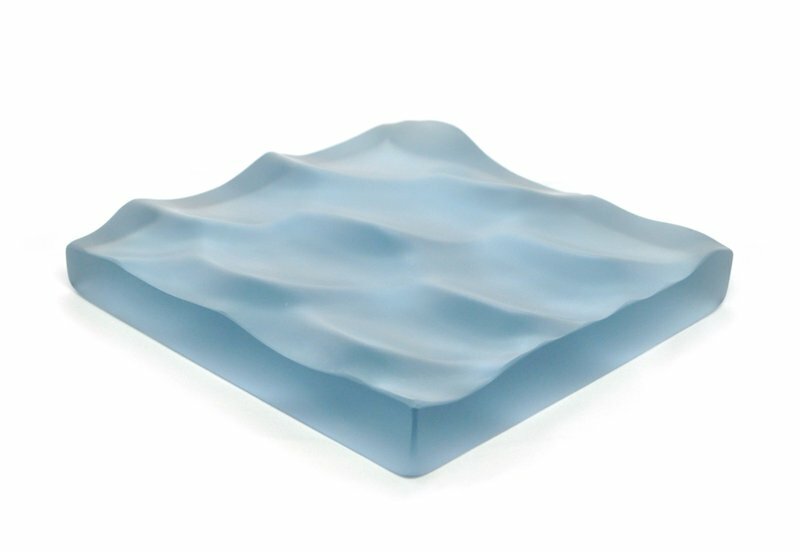 Seven Square inches of Water, above, echoes the waves of Storm King's Wavefield, though was created to benefit her environmental foundation, the What is Missing? project. The blue cast and polished glass work is a contained, serene sculpture that serves as an alternative to the imagery of troubled oceans that we are bombarded with today. Lin will be participating in an Art 2030 panel discussion about how artists continually explore the urgent issues of our natural world on September 26th in New York City. Tickets will be available on September 12th. Bonus work! 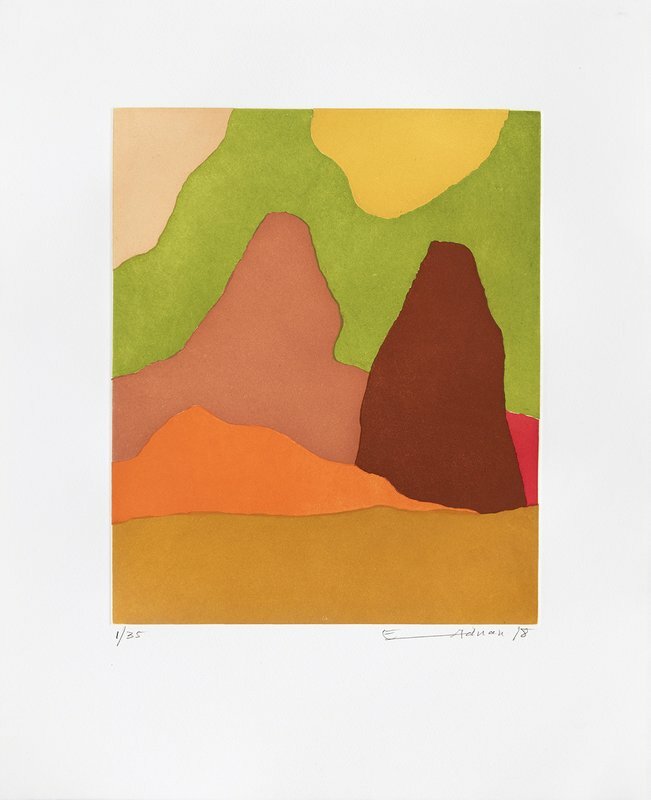 I've already spent time writing why the Beruit-born artist and poet Etel Adnan is worthy of your attention, but I had to include her again for a few reasons: New England-ers (or those with access to a car) can drive up to MASS MoCA to see A yellow sun A green sun a yellow sun A red sun a blue sun, an exhibition of her paintings and writing; the international crowd can venture to Lucerne, Switzerland to The Zentrum Paul Klee to catch her eponymous exhibition before it closes in early October. And finally, Le Poids du monde V, pictured above, was recently added to Artspace along with this other beautiful 2017 landscape, and best seller Dans le mystère de la nature was restocked! Grab them before they're gone, just like this elusive season.